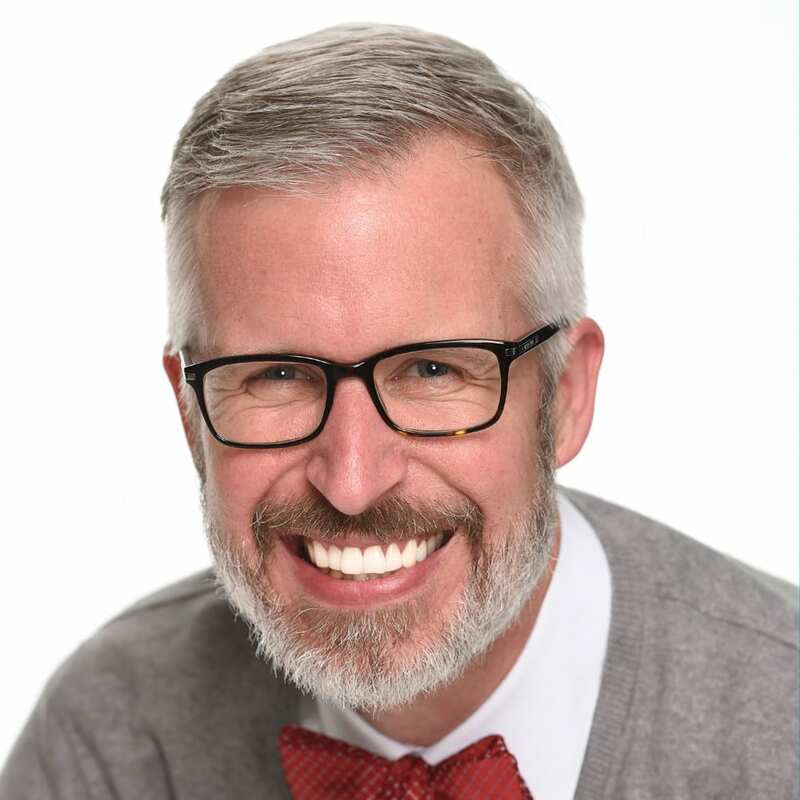 My fellow author Tom Smith recently shared some details about My Disney Experience – a key component of MyMagic+ at Walt Disney World Resort. Today, I wanted to highlight a fun way to show your Disney Side using another element of MyMagic+ – retail MagicBands and accessories. Guests staying at a Disney Resort hotel already receive a MagicBand in their choice of select colors. 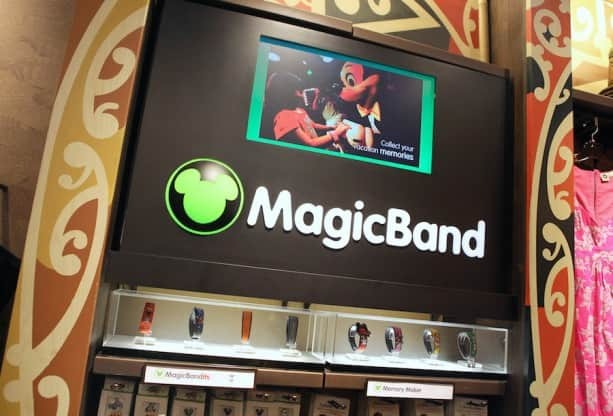 We also offer retail MagicBands which are great for guests who may not be staying at a Disney Resort hotel but want to take advantage of some cool technology during their visit. There are currently seven different colors offered. You may also recall seeing some special graphic MagicBands at events like Frozen Summer Fun at Disney’s Hollywood Studios. 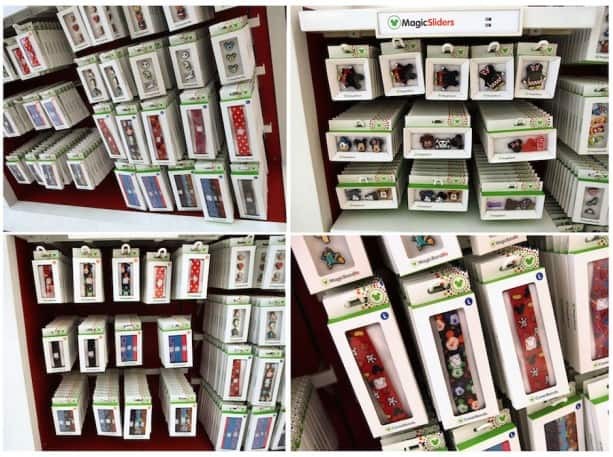 I spoke with merchandiser Kevin-Michael Lezotte about how guests can show their Disney Side using MagicBands. The seven solid-color retail MagicBands are $12.99 each plus tax. Retails for other MagicBand accessories vary. 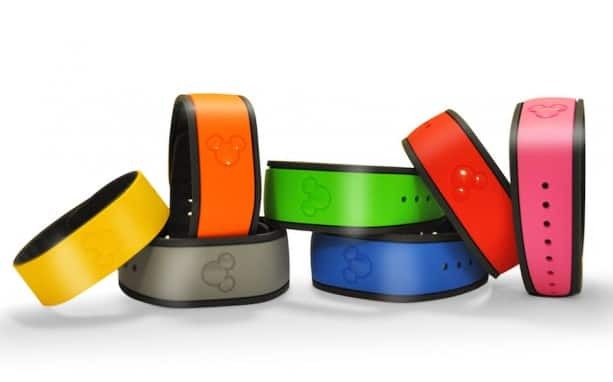 At the time of purchase, guests must present one of the following for retail MagicBands to be linked: valid theme park admission, Memory Maker card or an active MagicBand. 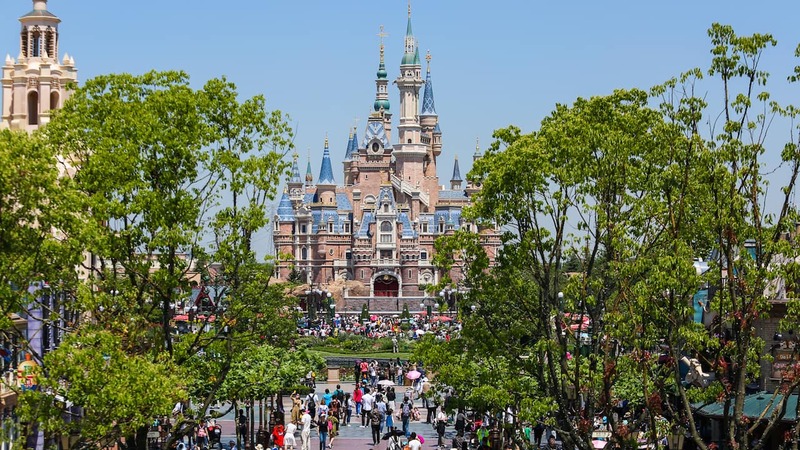 If the item linked to is already connected with the guest’s My Disney Experience account, all existing plans – such as tickets, dining reservations, Disney PhotoPass Service, and FastPass+ selections – will seamlessly link and automatically be accessible via the new MagicBand. Guests who don’t have an established My Disney Experience account prior to purchasing a retail MagicBand can easily create one by visiting www.MyDisneyExperience.com. I’m bummed to hear there isn’t currently a purple band. That’s the color I was going to pick for my daughter for this year’s trip since it’s her favorite color. Hi Steve. 6 of us are visiting in early December and I’d like to buy each one of the Christmas magic bands before we arrive as gifts. My wife and I are visiting in mid-November and could buy them at Downtown Disney. What would I need to do or provide to enable us to buy the 6 limited-edition retail bands and link them later? I would LOVE to see a Purple Magic Band!! Com’on now!! We have to have something that matches Rapunzel!!! How many MagicBands can each family member have active at once and will my Fastpass+, MNSSHP, dinner reservations, etc be connected to all active bands? My 8 yr old has 3 different colors so far from all the visits we’ve had since we tested the bands last Nov and for our upcoming trip, she wants to wear the color that matches what she wears each day. how many magicbans can i buy? @Howard – Glad to hear you are a fan. I’m unsure how to answer your question. You can own multiple MagicBands; you can manage which ones are active in the My Profile section of http://www.MyDisneyExperience.com. There may be, however, purchase limits in place if you are looking to purchase multiple MagicBands in a particular location. My son was asking me what happens if he loses his MagicBand. I am sure you have a way to inactivate the lost MagicBand and link a new one, but could you explain process to handle lost MagicBands? Is there a fee to replace a lost MagicBand? If you can access disneyworld.com, please visit the MagicBand section of My Profile, select the “Deactivate” button next to the MagicBand or card and when asked for the reason why, indicate that the MagicBand or card is lost. You can also deactivate a MagicBand using the My Disney Experience mobile app. If you lose your MagicBand or card at Walt Disney World Resort, please visit Guest Relations or your Disney Resort hotel Lobby Concierge and we will deactivate it for you and provide you with a replacement MagicBand or card. If you have another available MagicBand or card, you can activate it on the MagicBand section of My Profile in My Disney Experience. If your visit is more than 10 days away, contact us to have a replacement MagicBand shipped to you. like the mickeys holloween do i need to get Activated as i will not use them? @Howard – You can purchase the limited edition graphic MagicBand for yourself yet you will still need either valid theme park admission, a Memory Maker card or an active MagicBand in order for it to be linked at the time of purchase. Currently, there is no option for graphic MagicBands to be linked later. That option only exists for solid color MagicBands in select retail locations. About the MB with graphics, Will i receive it according to the character i choose at my profile on Disney’ s my experience? Or. should I ordered another one? Or can be printed on my regular MB? 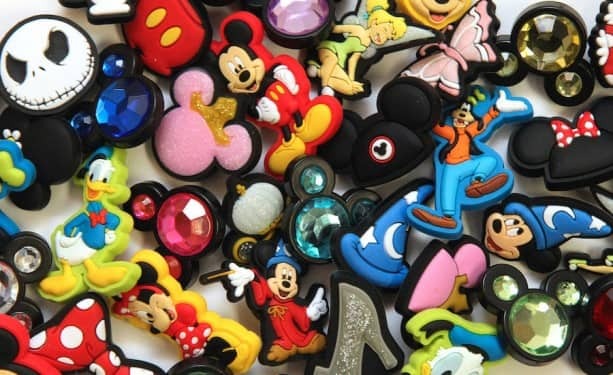 @Diego – The graphic MagicBands are retail items which means you would need to purchase them in select retail locations at Walt Disney World Resort. They are not available as an option when booking a resort stay. Can MagicBands be used for future trips and reservations or must you get new ones with each stay?? @Gary – If you have a MagicBand or card that you like, and it is in working condition, you can continue to use it when you return to Walt Disney World Resort. At this point, you would receive a new one for booking a new stay at Walt Disney World Resort. If you have multiple MagicBands or cards, you can manage which ones are active in the MagicBand section of My Profile on My Disney Experience. I learned from a cast member that the problem with purple was fading in the Sun. They had tested that color and have to come up with a dye that will not fade. I’m waiting for purple as well! I wish one of the little button clip on things was a watch. I love the MagicBand and all of the different ways to customize it! Any chance that we’ll see a MagicBandit or MagicSlider with a working clock so I can use it in & out of the parks as a watch? Thanks! Jakki, I’ll second those Purple dreams, and throw in a “Clip-on watch accessory” dream. When can we see Magic Bands with classic EPCOT logos? @Tim – I’ve not seen any such development at this point. I am not sure I entirely follow. Retail magic bands are special bands that you can purchase then transfer your info onto? Like an upgrade to a band with a special picture printed on it? On our last visit I saw the bandits but I don’t think the retail bands were available at that time. @Maggie – You are correct. 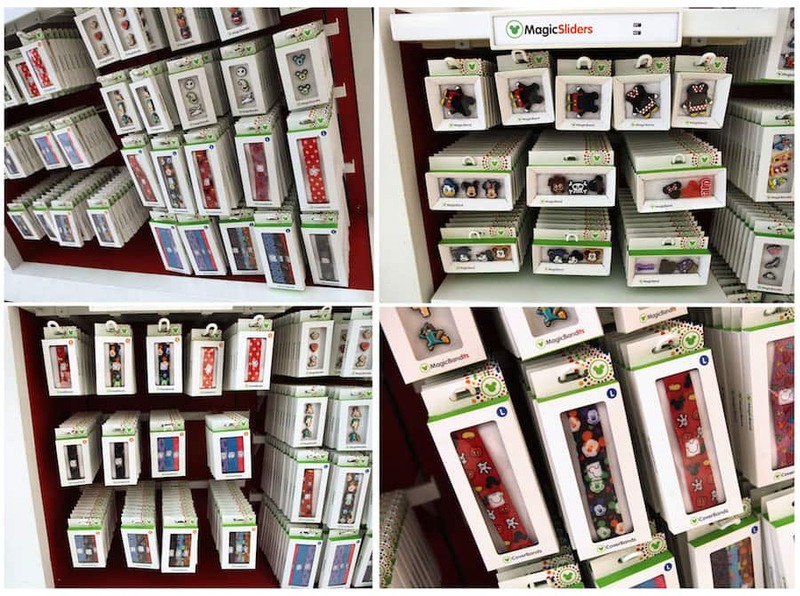 We offer retail MagicBands for those who may not be staying at a Disney Resort hotel or would like to wear a MagicBand that has graphics. You can manage the multiple MagicBands in your My Disney Experience profile. I was one of the lucky one to use the magicbands in the pilot program and loved it. At that time we were limited to the specific colors and when we checked in we got a slider with the date. So excited that there are so many more choices and additional pieces. Look forward to get a new one for my upcoming trip and to accessorize it at the same time. Keep up all the fun things you offer. I always look forward to your posts Steven. I do have a question regarding the MagicBands though. Is it possible to get a band for someone other than yourself? For example, say I was going to be going down to WDW and there was a band that a family member liked and I wanted to get it as an early gift for the holidays. Is that possible to do even though that person does not currently have park passes ect.? Would I be able to link it to my pass and then change it to their pass at a later time? Thanks for any info! @Paul – I have good news. There is an option in select merchandise locations that will allow you to purchase solid color MagicBands as a gift. This is a relatively new option and does not apply to graphic MagicBands at this time (the MagicBands with pre-printed graphics). If a solid color MagicBand is purchased as a gift, the Guest can link-it later to her or his My Disney Experience account. There is a limit of five solid color MagicBands, per color, per Guest, per day.